Dancing through the pearly mist,eyes aglow in the soft dawn light. Glistening coats kissed by starry dew,adorning the Blue blood’s flight. 500px / The Appaloosa by Valerie Anne Kelly. 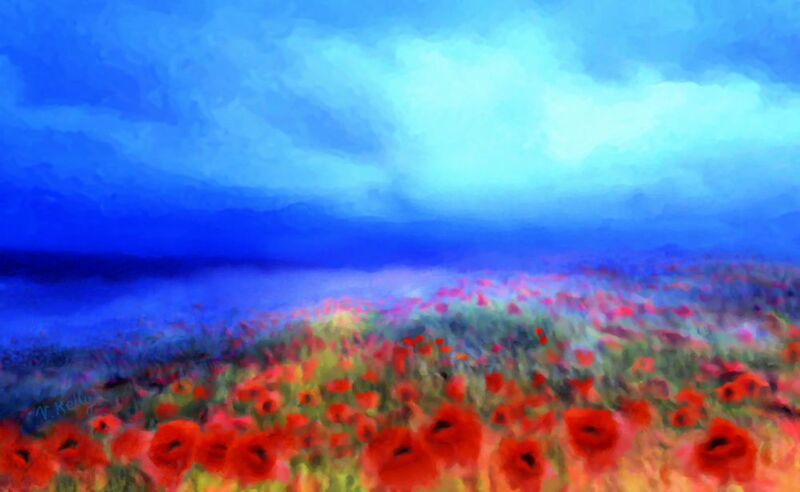 via Sold – Poppies in the mist.